Apple HomePod will be initially made available in the US, the UK and Australia from February 9 onwards. Read more to know if the Siri-powered smart speaker a worthy purchase compared to Amazon Alexa Echo and Googe Assistant-based Home. Apple's much-anticipated Amazon Alexa Echo-rival smart speaker HomePod is finally up for pre-order in select markets including in the US, the UK and Australia. Interested consumers can order the HomePod on apple.com and the Apple Store app. It can also be booked at brick-and-mortar Apple Stores and at select Apple Authorized Resellers, including Best Buy in the US; Argos, Dixons Carphone (Currys PC World), John Lewis, Shop Direct (Very and Littlewoods), EE and Apple Premium Resellers in the UK; and The Good Guys, Harvey Norman, JB Hi-Fi, Myer and Telstra in Australia for $349 (approx. €283/Rs 22, 238). It will be available in two colour variants -- white and space grey. The HomePod will finally hit stores from February 9 onwards in the aforementioned markets and Apple plans to expand the availability to France and Germany in coming days. Apple HomePod, which will be challenging the popular Amazon's Alexa-powered Echo and Google Assistant-based Home smart speaker, comes with a nice package both in terms of looks and internal hardware. It is 7.0-inch tall and boasts a visually appealing design language with curvaceous column-like structure with visually appealing textured contours. A lighting display at the top produces waves when Siri is activated. Since Apple HomePod is a smart speaker, the company promises that it delivers top-notch sound quality with deepest and cleanest bass possible, with low distortion. Apple has incorporated aesthetically pleasing upward-facing woofer, paired with the custom A8 chip, that enables bass management through real-time software modelling. It also boasts seven beam-forming tweeters, each with its own amplifiers to provide a well-balanced smooth tone. 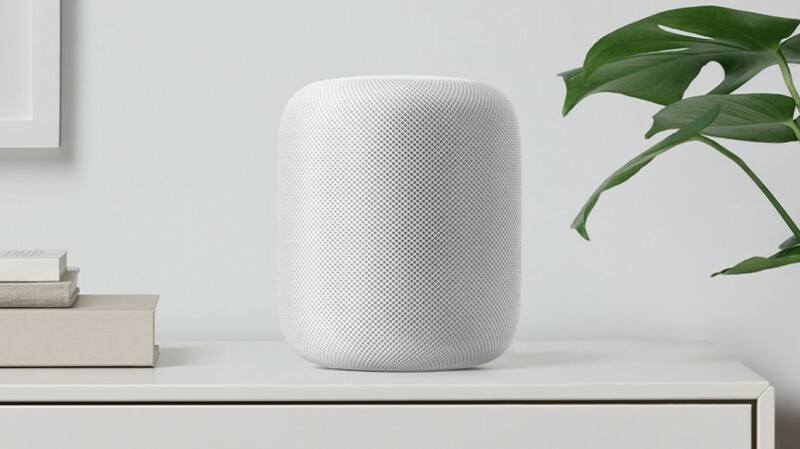 HomePod also comes with automatic room-sensing technology to quickly learn its position in a room, whether it's in a corner, on a table or in a bookshelf, and within quick time, is optimised to deliver an immersive music listening experience wherever it is placed. The company has also included two speakers, which use both direct and reflected audio to deliver audio wirelessly for an even more immersive experience. 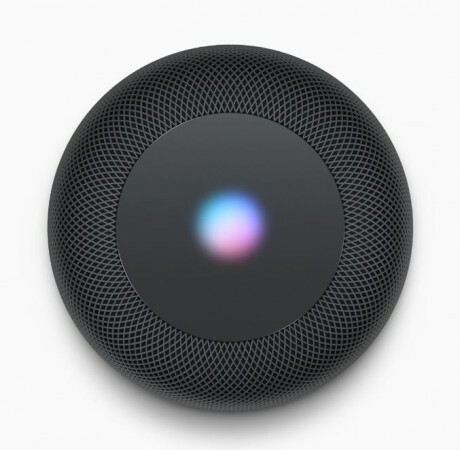 Apple, in a bid to make HomePod understand voice-commands in a single attempt, has incorporated a six-microphone array with advanced echo cancellation that enables Siri to recognise people whether they are near the device or standing across the room, even while loud music is playing. When away from home, users can still remotely access and perform home automation on HomePod through the Home app on iPhone or iPad. It is compatible with iPhone 5s and later models, running iOS 11 and will be competing with Google Home and Amazon's Alexa-powered Echo. Stay tuned. Follow us @IBTimesIN_Tech on Twitter for latest updates on Apple products.